I’ve recently read several posts asserting that billable time as a whole is unethical. As someone whose firm bills by the hour, I was slightly taken aback. I’ve never considered myself unethical; in fact, as a PR professional, ethics is part of our code of conduct. So this was a shock to me. For those who haven’t worked with a PR firm before, most bill their services by the hour to the client, similar to how an attorney operates. And yes, attorneys, as a group, often have a reputation for gauging their clients, so you’re probably thinking that I’ve made their point. But, I will argue that attorneys, like PR firms, shouldn’t be lumped together. I’ve worked with extremely generous and conscientious attorneys and I like to think there are others out there just like them. Here at Dot Org, I am a revenue generator, so I bill my professional time by the hour. I have to keep track of every minute of every day. It’s unrelenting and more than a little exhausting. But it’s a traditional way for firms to stick to client budgets, track time and hold their folks accountable for the work they do on a daily basis, so they have a solid pricing structure to fall back on. We actually do a combination of hourly billing and fair value pricing, depending on the project and client, but in the end, we are still tracking and the client pays for billable time accrued. 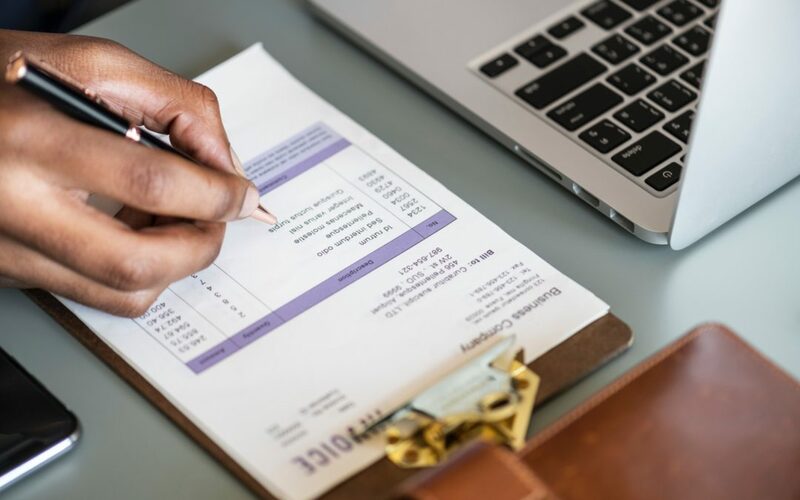 It’s not an easy way to do business because as much as we’d love to bill crazy amounts of time to help our clients, budgets simply don’t allow it. So we have to be careful, using our time where it’s most needed. But it never occurred to me that what we’re doing may be unethical. So I kept reading. I soon realized that the problem wasn’t hourly billing, per say. It was, in fact, some pretty shady practices that apparently are commonplace among firms in the name of hourly billing. In our opinion, hourly billing actually puts a client and a PR firm at odds. Does the firm serve the client best by moving quickly and securing results quickly and not earning fair value for its efficient work? What about when a firm takes employees to lunch for an hour, discusses a number of clients, and bills each of those clients a full hour? Or, have you ever hired an attorney or a CPA who likes to talk and then bills you for the time it took them to tell you stories about their vacations and (grand) kids? Tracking time actually takes time, and clients must pay for the time it takes the PR firm to track and report that time. Are you hesitant to pick up the phone to share newsworthy information with your PR agency because you’re worried about the bill? That’s how you miss potential PR opportunities. Some PR agencies estimate a low price knowing that if they’re wrong, they can still charge you hourly and cover their rears. These low-pricing tactics mislead clients all the time. What happens when your PR firm bills you for on-the-job training for a junior PR associate to learn how to do that work? That’s not fair. In this sense, I agree with him. But here’s the thing – as I said in the beginning, not all attorneys are shady and not all PR/marketing pros are unethical, including us. Why? Because, we would never do these things! And I’m in amazement that there are firms that do. I have personally found myself in each of the scenarios listed above. But it doesn’t have to put us at odds with our clients, if you have a culture of working with and doing what’s best for them, not you. And that’s the key – culture. If you have a system that’s set up for strict billing quotas and unreasonable expectations then yes, you may find yourself engaging in the types of activities Mr. Mudd lists above. Non-work events and conversations – Client lunches, events and meetings are billed if client work is discussed or if we are working during that time (sometimes we are the ones organizing the event or running the meeting). We have great relationships with our clients and many times, we do discuss kids, vacations and anything else that may be on their minds. In these cases, I file my time under “client relations,” a non-billable entry on my timesheet that includes anything I do to enhance and maintain a relationship. Tracking time – Yes, there are times when we have to get our timesheets in order, make sure everything is accurate and adjust where needed. If it requires more time “than normal,” it is generally not billed. However, I do want to point out that we’ve invested in some pretty sophisticated software that helps us track our time easily and efficiently. So Mr. Mudd’s assertion that tracking takes time isn’t necessarily true. On the flip side, our clients appreciate the detailed invoices we send them so they can see where their time/money has gone, if they so desire. Picking up the phone – As I said above, our clients call us if they need something and even if they don’t. If a client is afraid to pick up the phone to talk to me about a potential project or news story, then this is something we need to address in our client relations work. We encourage clients to let us know if there is anything happening because they are on the frontlines. Without their regular input, we may miss huge opportunities. On-the-job training – This is an interesting one and especially poignant as we have a junior associate working for us now. I want her to get hands-on experience working for and with our clients. There is simply no better way for someone to learn. And in some areas, she has jumped right in, producing really good, efficient, billable work. In other areas, though, she is still learning. But not on the client’s dime. I agree with Mr. Mudd that it is completely unfair for a client to pay for someone just learning and training. We adjust her time accordingly, where needed. And she understands why we do it – again, setting a culture that we do right by the client. I could go on, but as we here at Dot Org try to find the balance between being a profitable, thriving business and billing our clients in an ethical, fair manner, the articles and blogs I read was especially alarming. I think there is always an argument for the fair value pricing model vs. billable time, but that’s another blog for another time. For now, I’m good with how we treat our clients. It goes a long way for them to know that we have their best interests at heart, always.